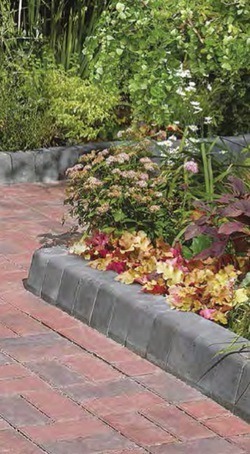 A POPULAR RANGE OF EDGE RESTRAINT KERBING SYSTEMS AVAILABLE FROM STOCK IN A CHOICE OF COLOURS. 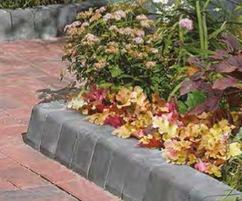 Colours complement Europa block paving. Provides subtle alternative to more traditional kerbs. Allows kerbing around irregular or complex shapes. Designed for use with Europa block paving. Charcon is a brand of Aggregate Industries, and all products are manufactured in accordance with ISO 9001 with factory compliance to ISO 14001.